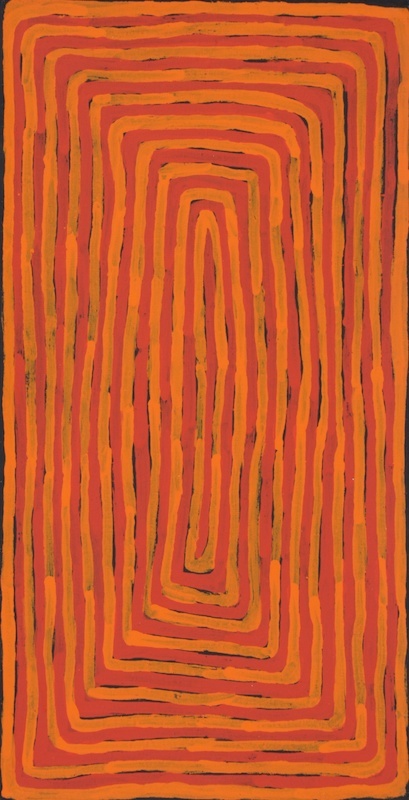 Ronnie Tjampitjinpa was working as a fencer at Papunya when he saw some of the older men in the community painting their traditional designs on wooden boards and canvas. 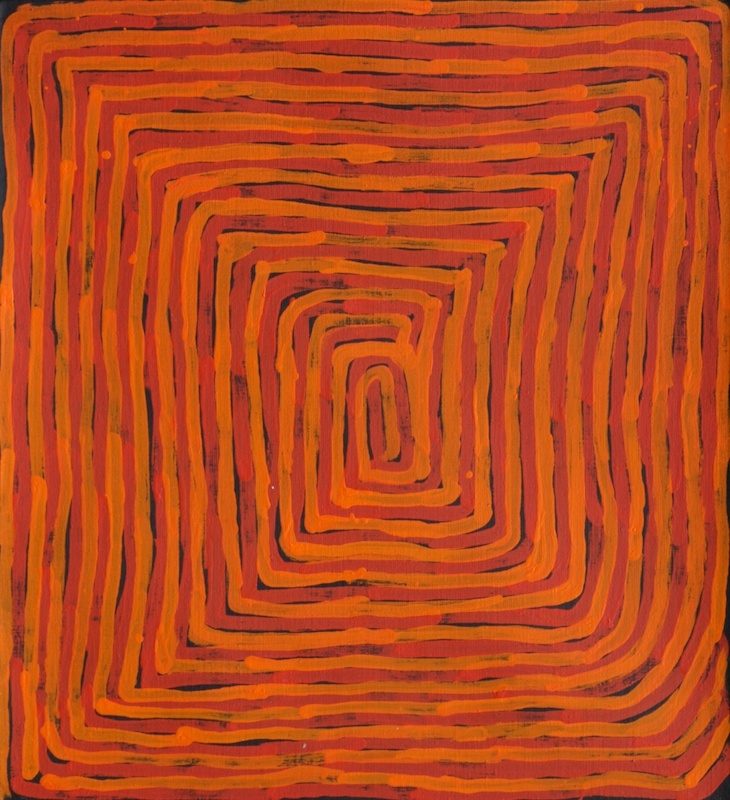 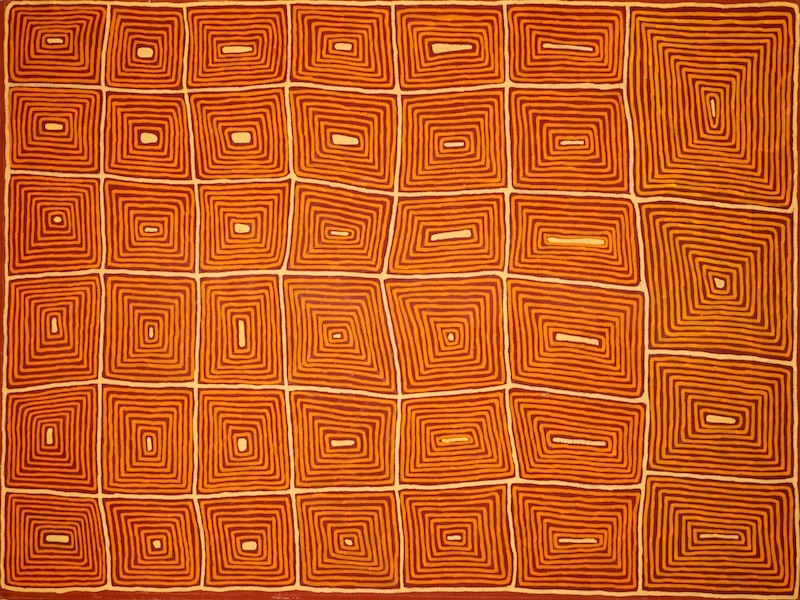 Tjampitjinpa was fascinated and began to paint in the early 1970s, although his career as an artist really blossomed in the mid 1980s. 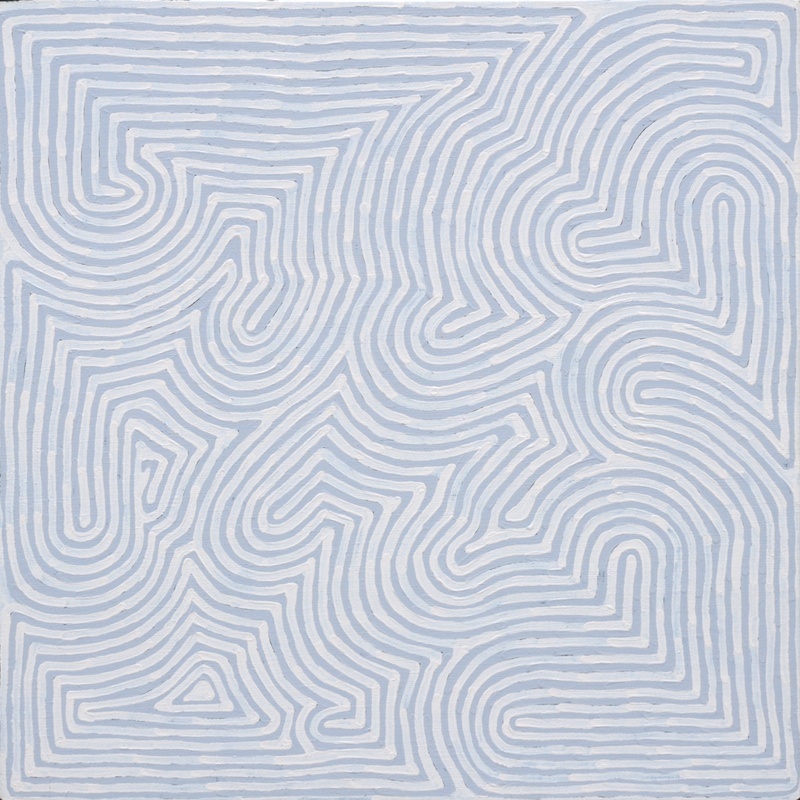 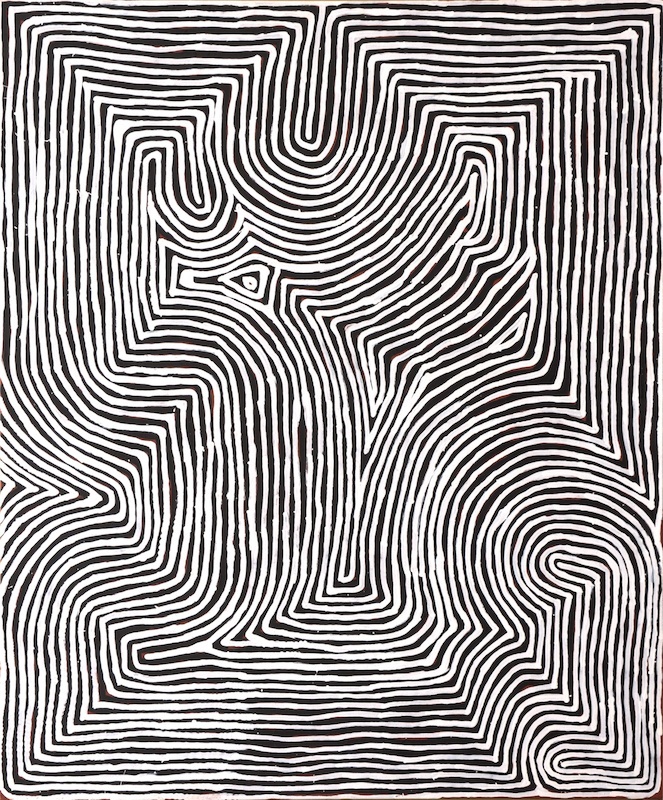 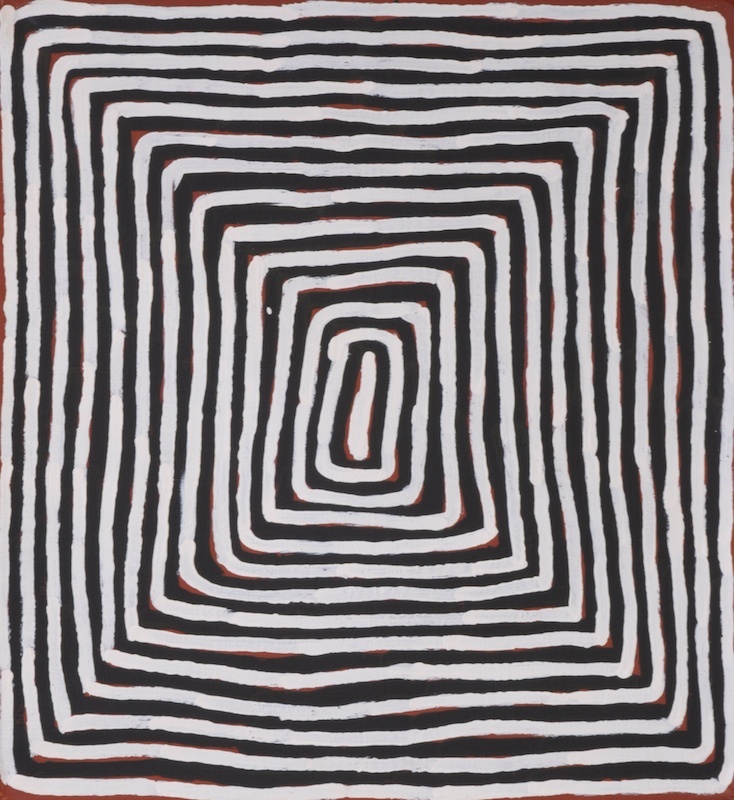 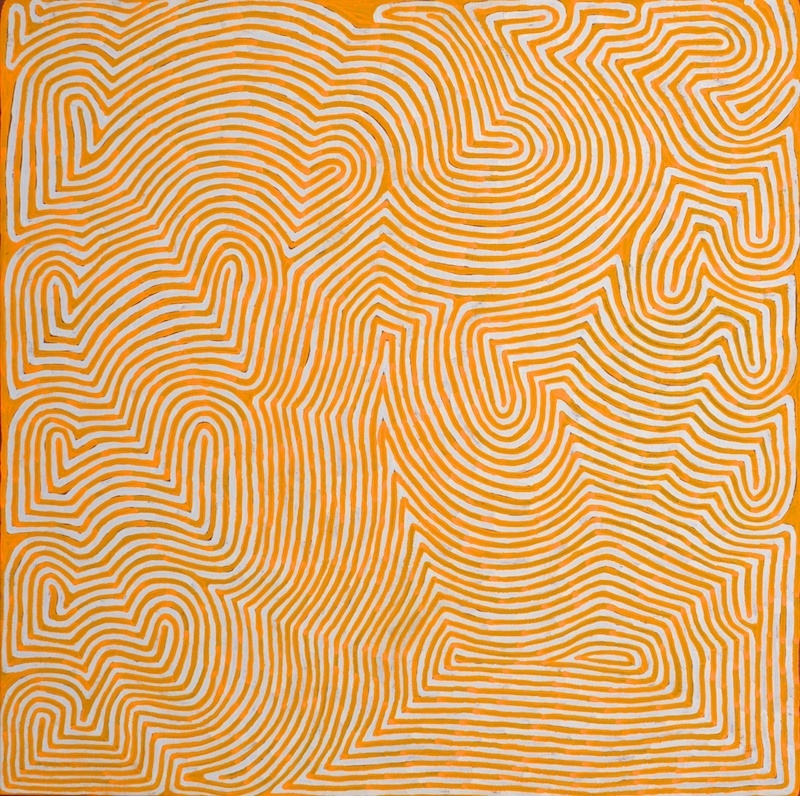 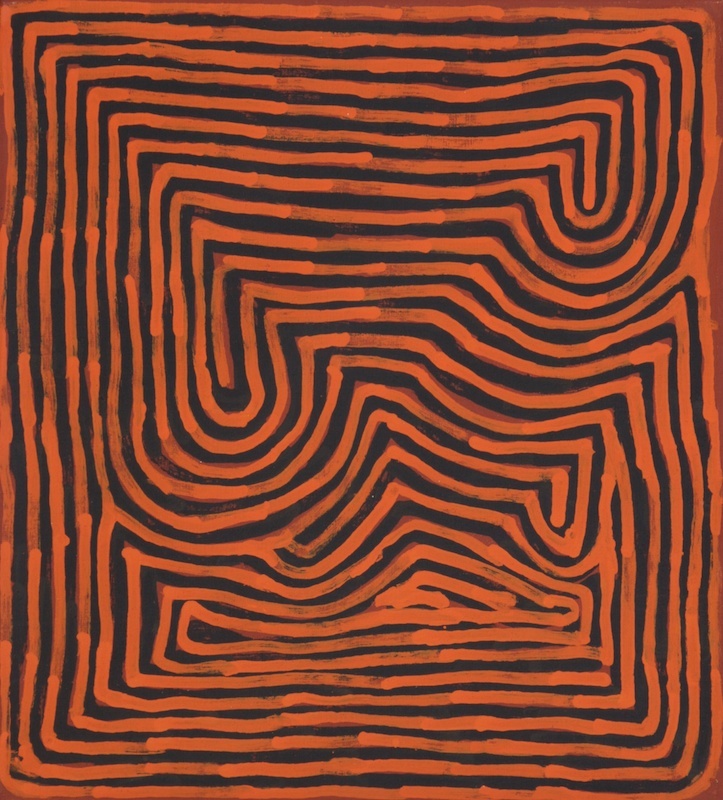 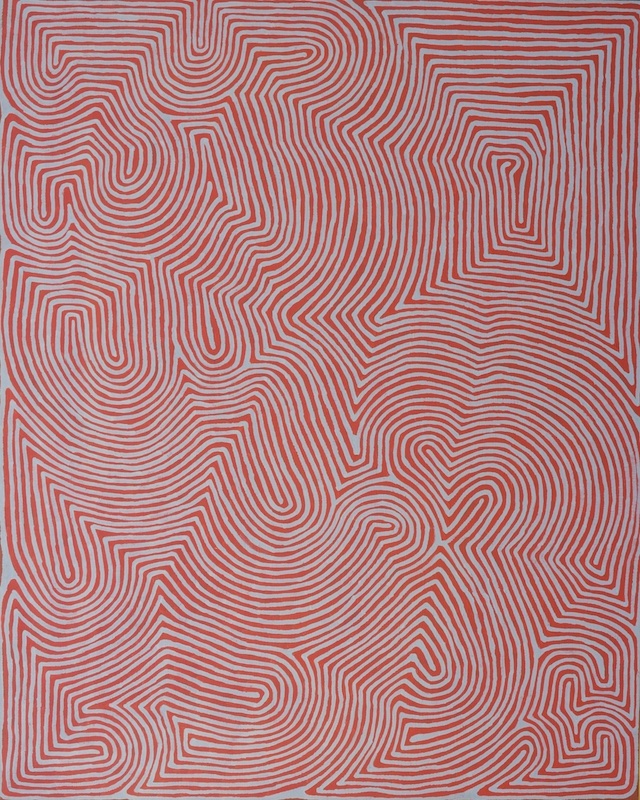 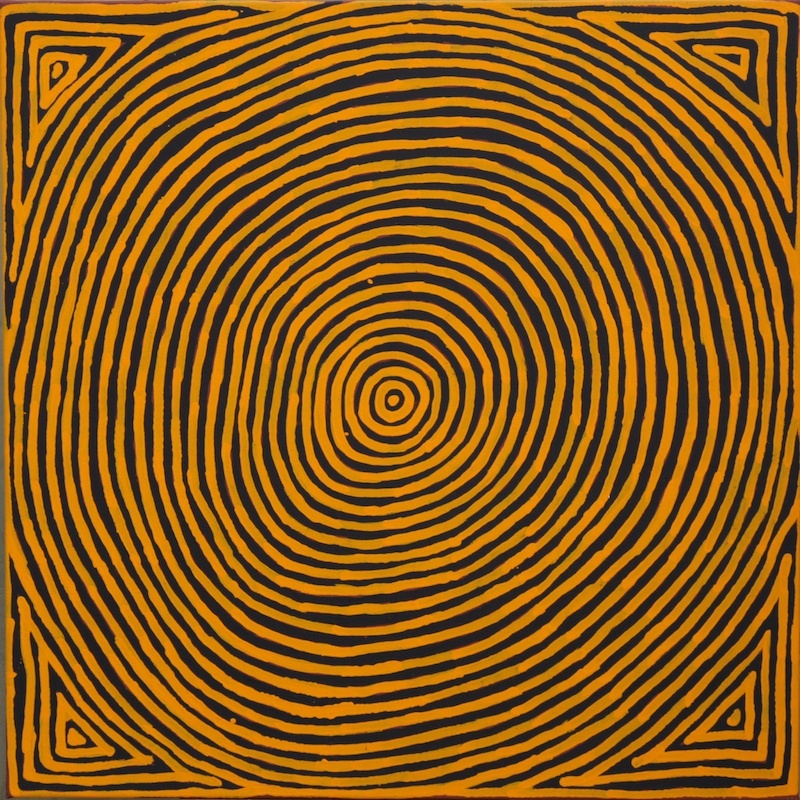 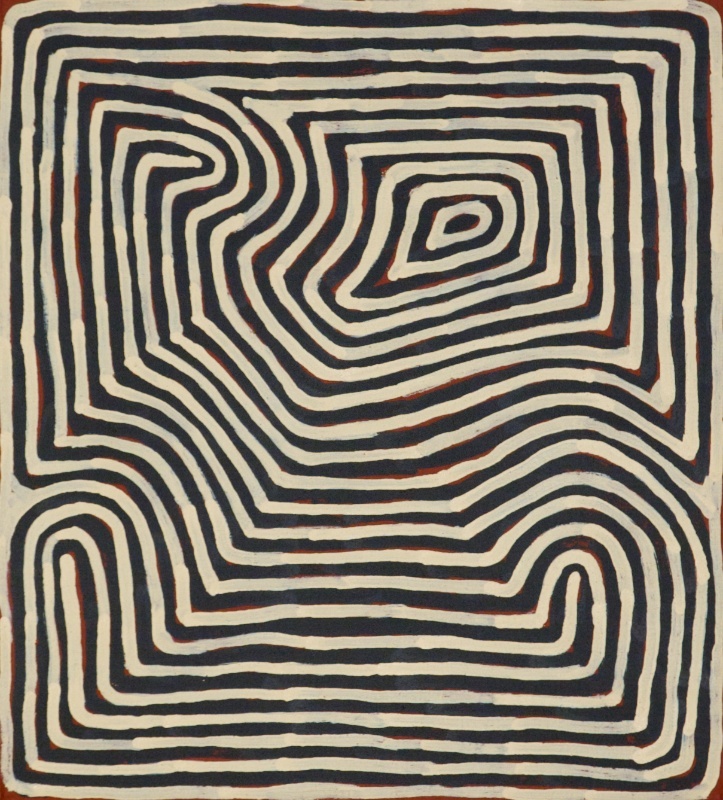 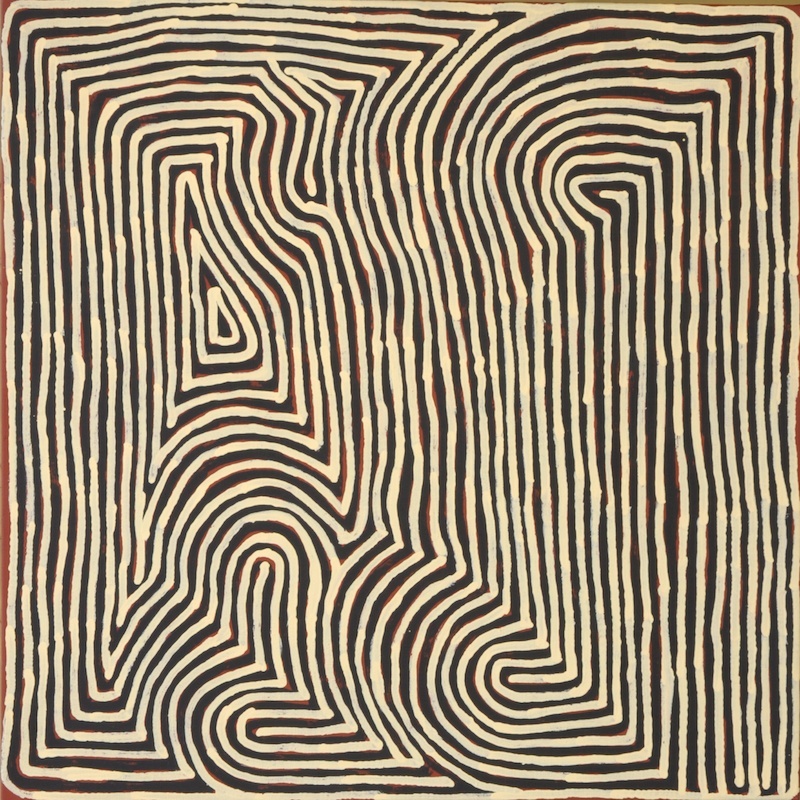 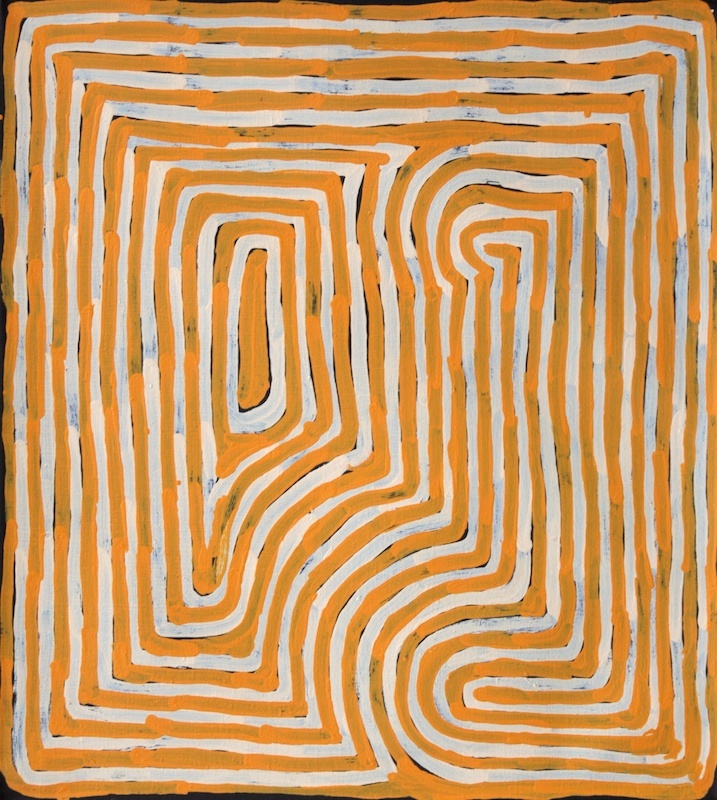 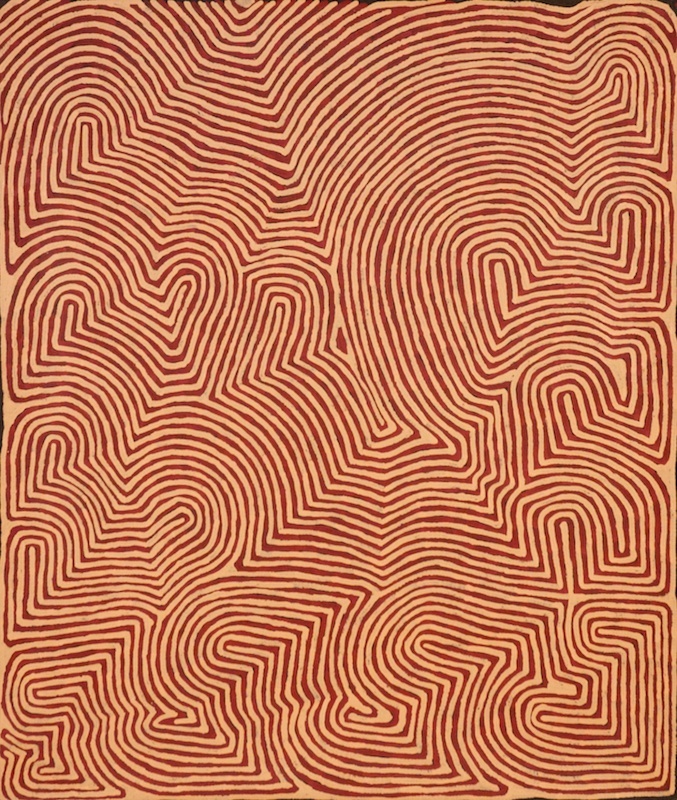 Tjampitjinpa uses bold geometric forms and repetitive lines in his paintings. 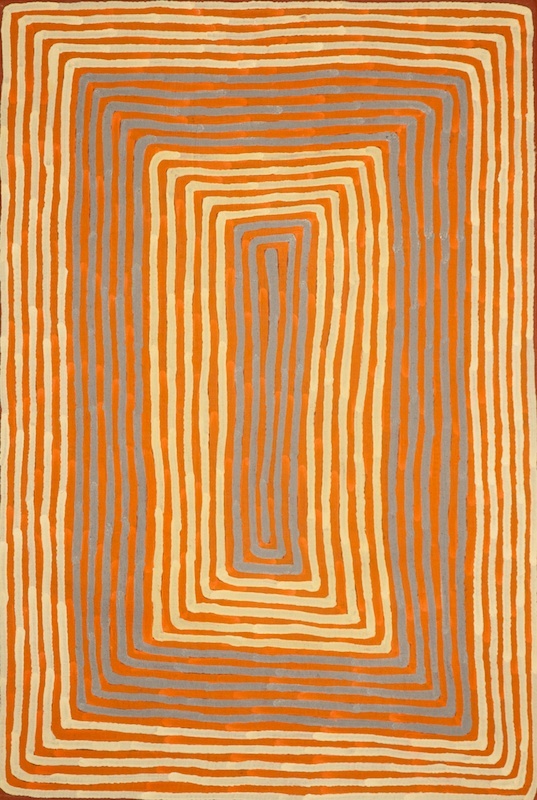 The colours are often bright and the general effect is mesmerising. 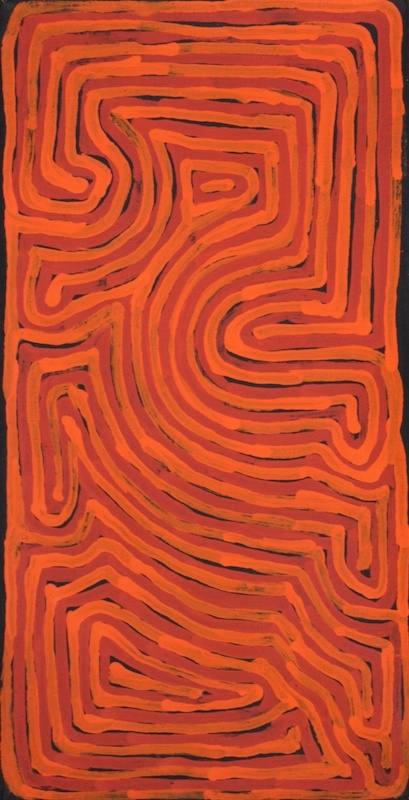 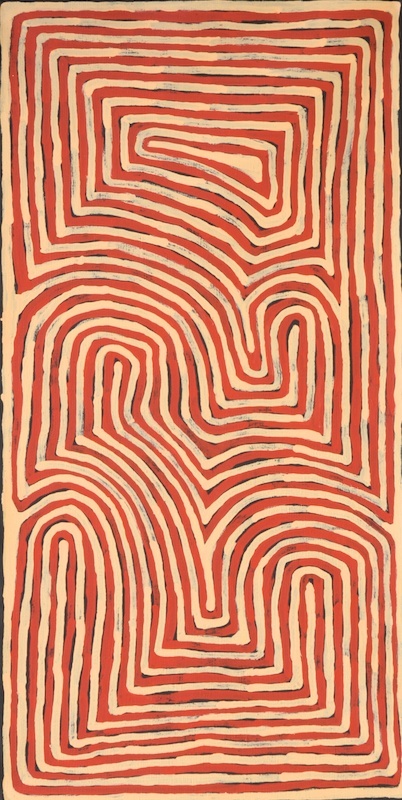 Today, his work is included in major Australian and international collections, including the National Gallery of Australia, the Musee du quai Branly, Paris, and the Seattle Art Museum.